Brisbane is surprisingly great for vintage finds. 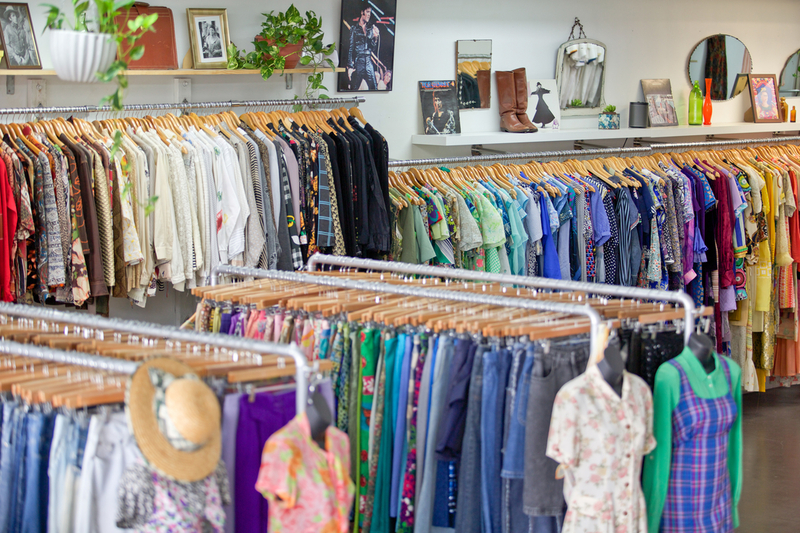 We’ve rounded up our top spots to hit up when you’re after some ‘new’ vintage clothing, accessories or even home decor. Our main hub for all things pre-loved is the Paddington district – the best part is that when you’re done, there’s no shortage of coffee and cake options! Luckily for us Brisbaners, there are more than one of these gems. In West End and Rosalie, you’ll definitely walk away happy from Yesterday’s Thrift. The clothing is well curated and well priced, which always makes vintage shopping a little more exciting. SWOP is full to the brim of very carefully curated vintage get-up. You’ll find no second hand fast fashion here. It sells mostly clothing items, but don’t get too caught up in the huge selection of vintage dresses and forget to check out the shoe and bag situation. Every Friday, SWOP opens an exchange counter where anyone can take their pre-loved wears in and swap them for credit or cash. However be sure to check out their criteria for swapping so you’re not disappointed, they won’t just take any old pieces. This vintage Mecca is a one stop vintage shop. You can deck your home out in stunning mid-century furniture, get your antique costume jewelry fix, sift through unique art and finish your shopping trip off with some coffee and cake at their in-house café. Latrobe Terrace is a hub of second hand stores, so take a walk down the street while you’re there and check out what this precinct has to offer. This shop has got a long history and reputation for delivering the goods. Retro Metro have a loyal following for good reason – again, on the Paddington strip, so add this to your list. There are so many reasons to love CYKAS. This is where you want to head for a stunning vintage frock. The best part? There’s a bar attached! These guys are super at social media too, so follow along for frequent updates of stock and events going down at the bar. If you weren’t sold on visiting Paddington for vintage yet, Ra Ra Superstar should push you over the line. These guys do both gorgeous vintage fashion as well as their own designs made from recycled fabric, and they aren’t too hard on the purse either.